Does the specialized vocabulary of rare book descriptions read like a secret language to you? In this series we will unveil the meanings behind a few of the more unusual and interesting terms that can read like a secret code to the uninitiated. Today: Cosway-style bindings. 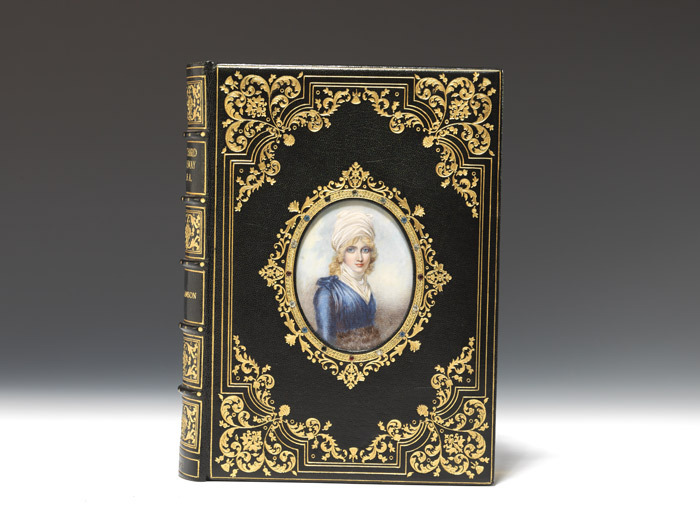 The Definition: A binding style in which delicate miniatures, mostly portraits, often on ivory, are set into the covers (or sometimes doublures) of fine bindings and protected by thin panes of glass. 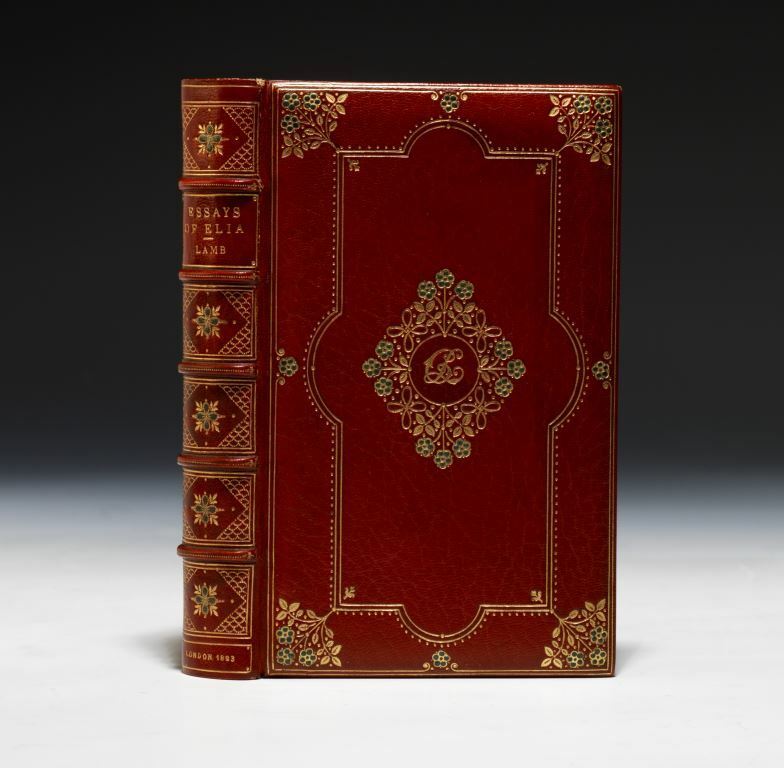 The Context: In the early 20th century John Harrison Stonehouse, managing director of London’s renowned bookshop Sotheran’s, hired the illustrious Rivière bindery to create bindings with miniatures embedded. They employed Miss C.B. 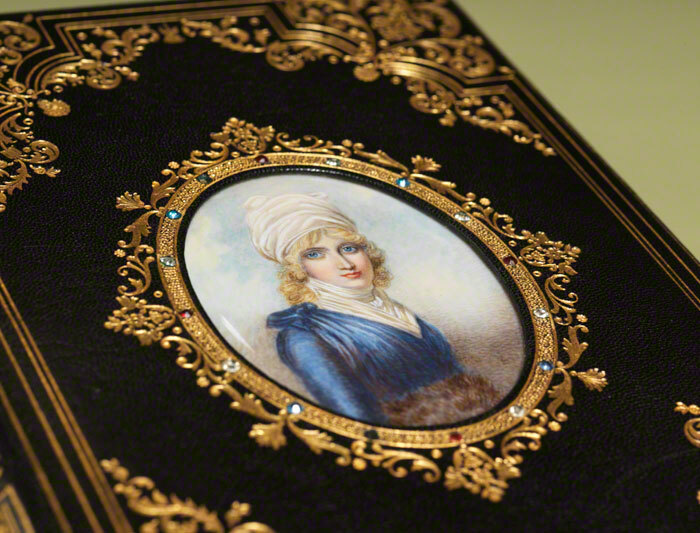 Currie to imitate the style of the famed miniaturist Richard Cosway and named the technique Cosway binding. 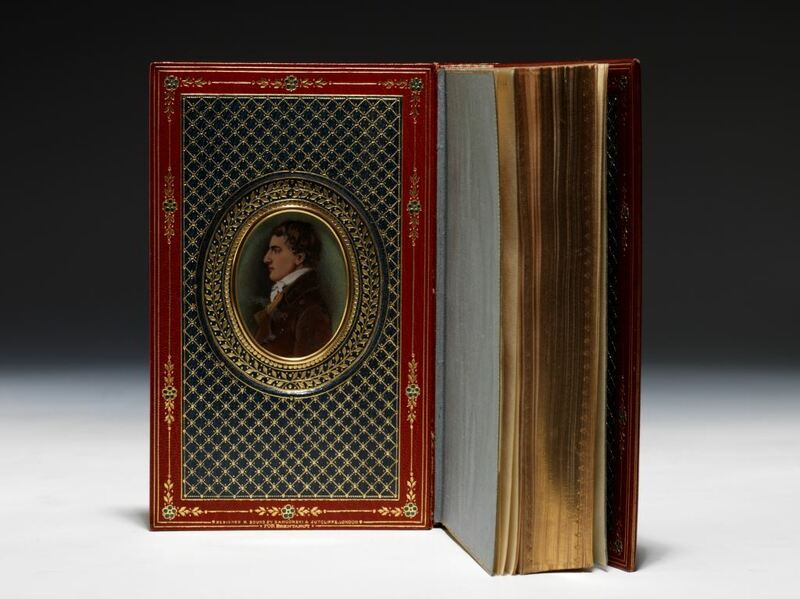 The painter Cosway, who died in 1821, never created a Cosway binding himself. As with all quality ideas, mimics soon appeared. 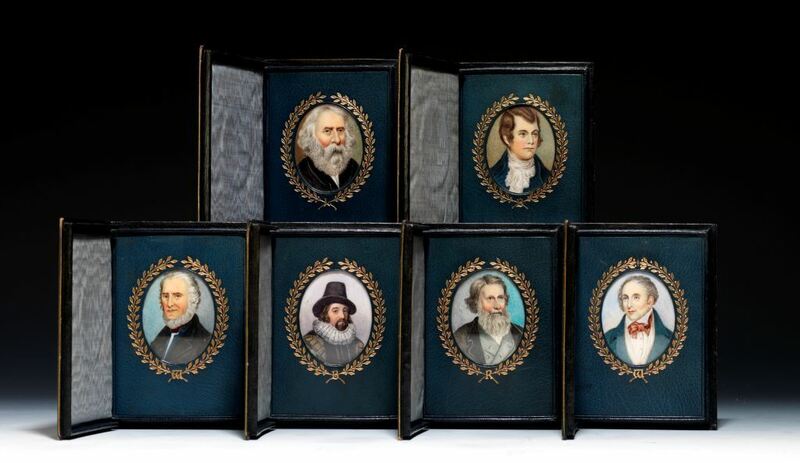 Bindings produced with miniatures in the boards but not executed by Currie are named Cosway-style bindings. Unlike most replications, these bindings can also be tremendous. Have a term in mind you’d like to see in this series? Write it in the comments below. 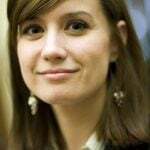 Rebecca Romney joined Bauman Rare Books in the fall of 2007 to 2016. In 2011 Rebecca began appearing on the History Channel’s hit TV show Pawn Stars as the rare books expert. She has contributed several posts to our blog. 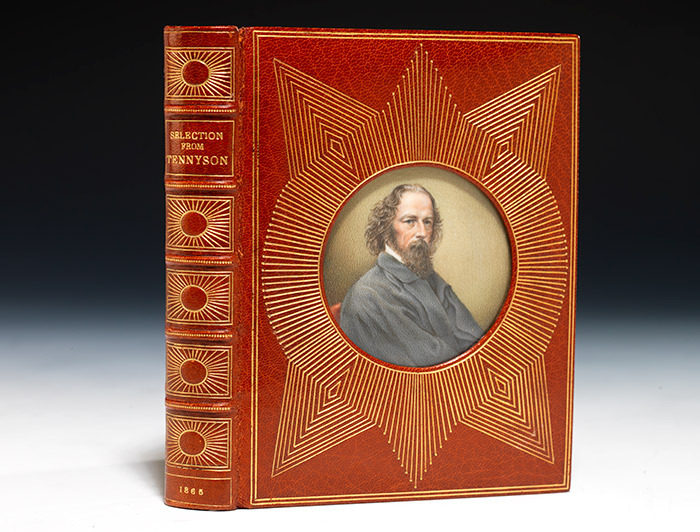 The treasures of literature encapsulated in artistic treasures. Magnificent! Very interesting article Rebecca. Do binders still create ornamental bindings or are they done as a one off for collector editions? I appreciate the further information Rebecca…enjoy your day.